In 1975 there was no Wal-Mart, Target, Hobby-Lobby, Cost Plus or Pier 1 Imports in the Coachella Val¬ley. 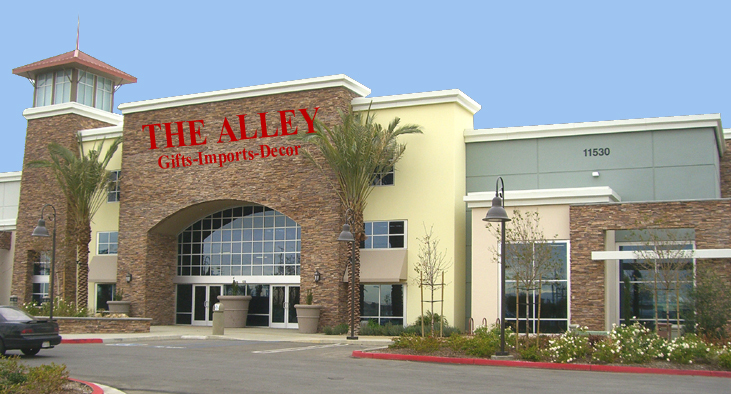 Shoppers seeking great prices on gifts, home decor and kitchenware all in one meandering location had but one choice: The Alley in the Palm Springs Mall. Originally located in the former "Mini Mall" inside the Palm Springs Mall, the brick aisles zigzagged through numerous store fronts dotted with street lamps, benches and signs. Each "store" along the L-shaped isle was brimming with a different category of merchandise. "It's kind of sad that the last Alley in West Indio is finally closing, but since neither my children nor my sister Liz's were interested in taking over the business, there was no other way to retire," said Will Marek, 63, The Alley's president and main buyer. Marek helped build the stockroom wall in the original Alley during a visit home from College. He joined The Alley full time in 1979. His sister Liz Posert joined the family business 3 years later. Marek's father, Richard, managed the J.C. Penney Store for a number of years in the Palm Springs Mall (currently abandoned, awaiting College of the Desert's Center for Digital Media Education ). When J.C. Penney dropped its inventory of gifts, lamps and framed art in the mid '70s, Richard and his wife Marybeth, saw an opportunity. Marek explains, "My father started adding up all of the sales Penney was giving up, and he thought 'Hey, someone could really do some business in this stuff!' Shortly thereafter, he leased the empty Mini Mall." 180 N. Palm Canyon Dr.
Richard Marek earned his retailing chops as the manager of the main floor of the downtown Seattle Penney store. "He was a main floor merchant," Marek said. "His forte was impulse items. He would get so excited about the potential of various items that he was always getting in trouble for being over-stocked. With The Alley, that was never a problem. Our customers loved the fact that our store was loaded with merchandise." Over a 30 year period, The Alley stores grew increasing larger. In Palm Springs the Mareks opened their 2nd store in the original Palm Springs General Store and post office (now Mr. G's), then some years later in the former I. Magnin’s (corner of Ramon & Palm Canyon). The most recent location was the former Robinson's building (corner of Baristo & Palm Canyon). 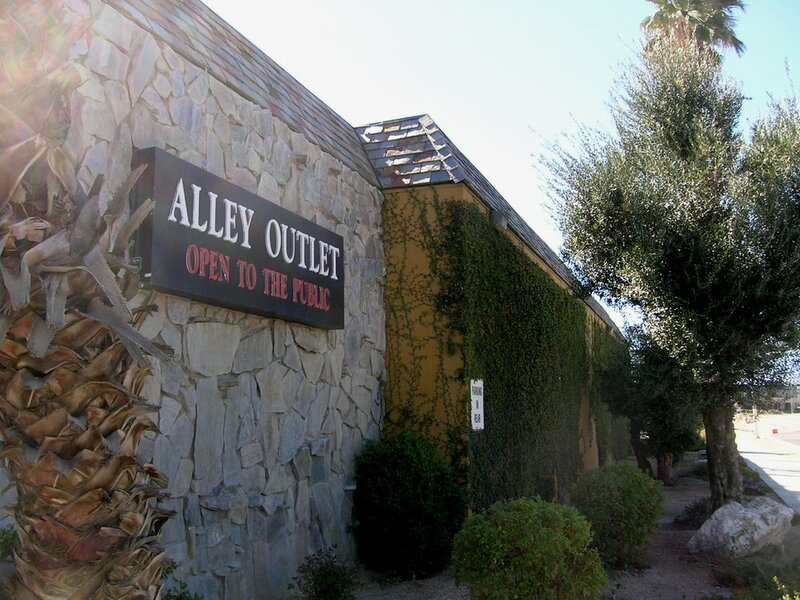 In Palm Desert, The Alley was located in the Palm Desert Town Center, on El Paseo and in Waring Plaza by Outback Steakhouse. In time, The Alley grew to a chain of 7 stores located from West Indio to Temecula. West Indio opened in 2008 and was the Marek's largest store. The Alley chain had over 100 employees. The younger Mareks traveled the world to source merchandise for the chain, spending nearly a month yearly in Asia. The elder Mareks passed on in the early 2000's. As the years went by, leases expired and opportunities to sell buildings came up and the Mareks closed stores with the idea of eventually retiring. Palm Springs closed in 2016 and Palm Desert in 2017. "I know that many of our loyal customers are going to be very disappointed that we are closing the final store," Marek said. "The Alley was a truly unique shopping experience and there will never be anything quite like it." The Alley's Going Out of Business sale begins on December 1st.